Ryan is part of City's Formula Student Team, building and racing the City formula car at Silverstone. Ryan was encouraged to join the Formula Student team by Roger Valsler, the team principal. Ryan competed in Formula 1 In Schools, and became the UK National Champion in March 2013, and 8th in World at the International finals, meaning he had beaten over 20 million other students worldwide. 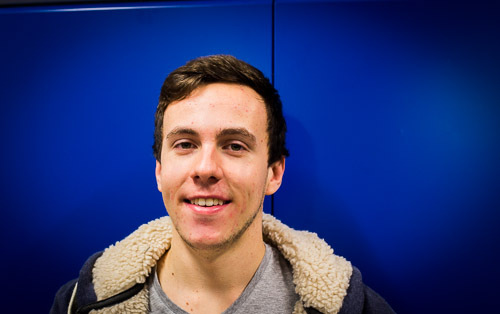 Ryan then joined City's MEng Mechanical Engineering course with the option to join City Racing, City's entry into the Formula Student competition. I am most looking forward to actually competing, being one of the mechanics, merging in with all the third and fourth year students and working as a well oiled machine, to make this year the most successful of all for City Racing in Formula Student. When I graduate I plan to start working at a GP3, or Formula Renault 3.5, or Formula E team and work my way up to become a principal role in a Formula One team in the future. That's the aim! I am from Norwich Norfolk, home to Lotus Cars and a sub section of the F1 team and until 2 years ago, the whole of the Caterham Formula 1 team. It has a large automotive manufacturing sector and I hope to be something Norfolk remembers as a clever and innovative automotive engineer. I chose City as it is a University which I felt I could add something to, learn the most from out of my course and also experience the life in London.